Drivers Ian James and Matt Keegan in the No. 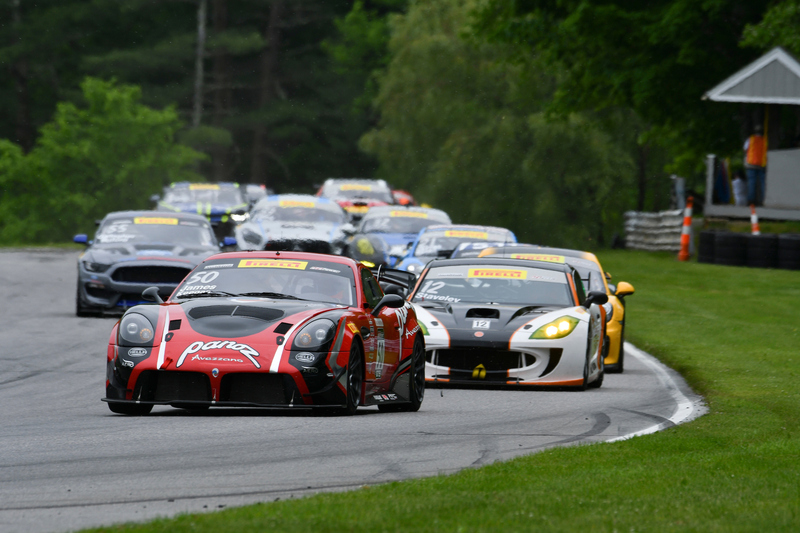 50 Panoz Avezzano GT persevered in a caution-shortened PWC GTS SprintX round six race on Lime Rock Park’s seven-turn, 1.5-mile road course and secured Team Panoz Racing’s first podium of the season, out dueling a strong GTS SprintX lineup. James and the No. 50 Avezzano GT started P5 on row three in the afternoon’s 60-minute round six race thanks to a best lap time of 54.661 in the morning’s round five race. Soon after the green flag dropped, an incident on the race’s first lap brought out a full-course caution with James still P5 overall and P4 in the Pro/Am class. Dr. Preston Calvert started P24 on row 12 in the No. 51 Panoz and quickly picked up three positions to P21 overall and P8 in the Am class before the caution flag flew. Racing resumed on lap 15, and within two laps James moved to P4 overall after getting by the No. 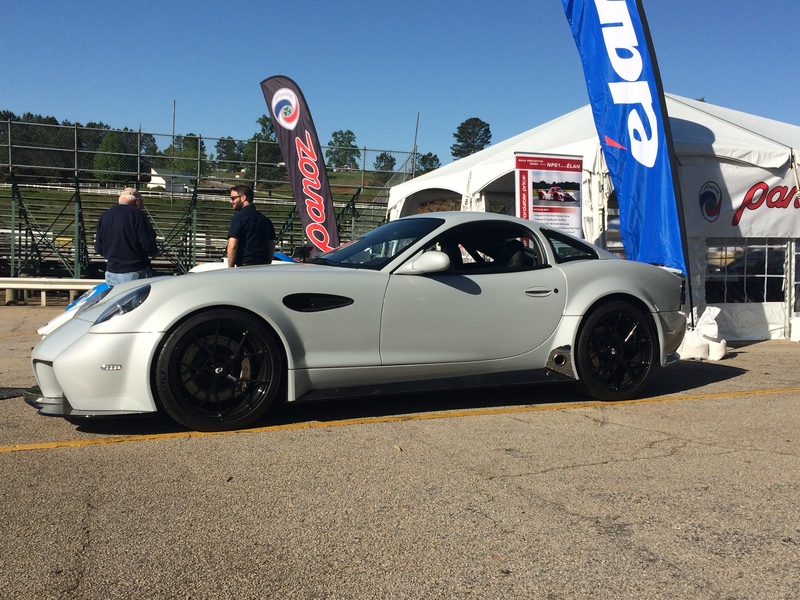 47 NOLAsport Porsche Cayman GT4. Unfortunately, a single-car off-track incident immediately upon the restart ended the day for Calvert and the No. 51 Avezzano GT. The race continued without further full-course cautions. When the pit window opened, Team Panoz Racing elected to stay out as others pitted, allowing James to move up to P2 overall and P2 in in the Pro/Am class. On lap 29 James brought the No. 50 Avezzano GT to pit lane in P1 overall and P1 in Pro/Am and handed the reins to Keegan, who maintained P1 on his out lap and then P2 until relinquishing the position to the eventual race-winner Drew Staveley and the No. 12 Ian Lacy Racing Ginetta G55, dropping Keegan to P3 overall. Keegan regained P2 on lap 48 of 50 to secure the second-place overall and P1 in-class finish for the team. 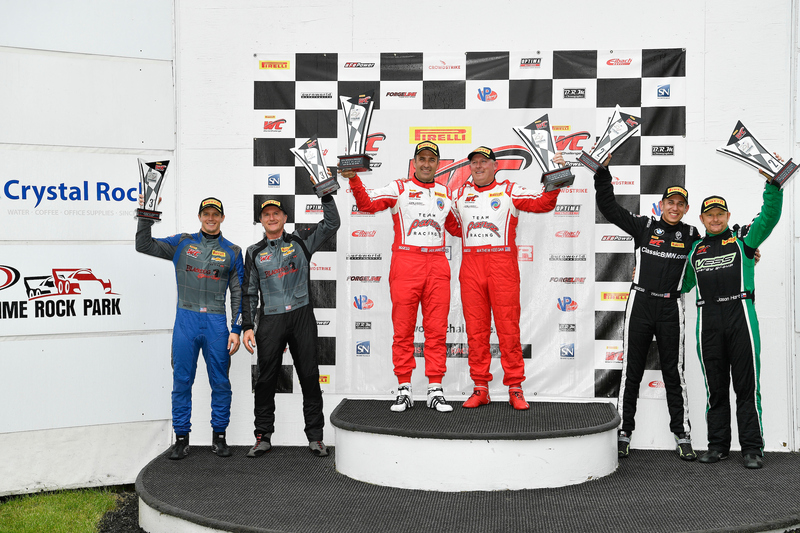 The GTS SprintX round six podium capped an overall successful weekend that included two top-five in-class finishes in the morning’s 60-minute GTS SprintX round five race. Keegan/James finished P7 overall and P4 in the Pro/Am class, and Calvert earned a P5 Am-class result and P16 overall. Calvert’s performance is worth noting given that he started P31 at the back of the field and picked up 11 positions on the first lap and ran as high as P15 before finishing P16 overall. 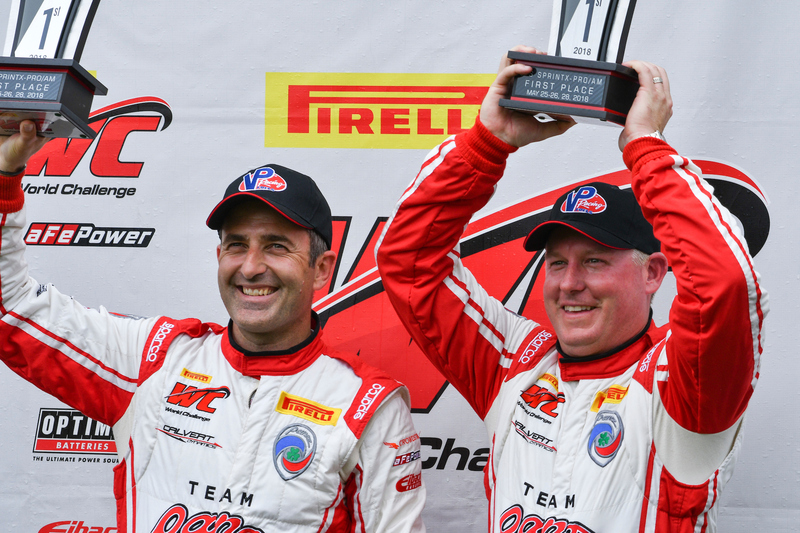 Next up for Team Panoz Racing are PWC GTS Championship rounds five and six at the Grand Prix of Road America, June 22-24, 2018, Elkhart Lake, Wis. This is a return to the doubleheader 50-minute sprint race format in GTS/GTSA. Please visit www.world-challenge.com for the most up to date PWC information, live streaming, and CBS Sports Network broadcast details. Follow us on Facebook, Instagram, Twitter, Snapchat for as-it-happens updates.